David Fleming was one of my closest friends; a mentor, and an inspiration. His sudden death in late 2010 came as a complete shock. At the time we were in the midst of final preparations ahead of the publication of a jointly-authored parliamentary report on his influential TEQs scheme (see the entry in this Dictionary), so getting that launched as he would have wanted was the immediate priority. It received international headlines but, for me, in the wake of the flurry of interest came the emotion, and the realisation that this book – his great work, his legacy to the world – remained unpublished. There is no question that part of my motivation for undertaking the work on this book has been my deep love and gratitude for David, but I am driven far more by the sense that this is a genuinely important work, with a significant audience out there who deserve to read it. For me, and for many others, it has been a touch-stone. When engaging in activities not tied to the logic of the market economy, we are forever told that our efforts are quaint and obsolete. It can be wearing, but Lean Logic is the antidote – a reminder of the deeper culture that such work is grounded in; that older ways of relating are no mirage, but rather the very foundation that society is built on; that our efforts matter more than we know. Indeed, if not for the weight, I might be tempted to carry a copy to gift to such critics! This is, without any shadow of a doubt, a unique book. Conversations with David rank among the most startling and refreshing experiences of my life, and this book is the truest testament imaginable to the character and ingenuity of the man. The very structure of the book reflects his genius for drawing unconventional and revealing connections where they were never suspected, and it is all too easy to spend hours exploring his web of entertaining dictionary entries. And then astonishing to discover how they build, almost without being noticed, into a comprehensive vision of a radically different future. But I shall not say too much else about Lean Logic itself here, and let you experience it for yourself. Instead, I have been asked to write a little about the past five years, and the process from the final manuscript on David’s home computer to the book you now hold in your hands. Some of you will have come to this book after reading the paperback Surviving the Future: Culture, Carnival and Capital in the Aftermath of the Market Economy. I produced that book from this one, so your journey has been the opposite to my own, but I have had you in mind throughout, and I trust that you will find it a natural process to discover how the material from that book fits within David Fleming’s wider vision. You will encounter content that you recognise, but it will be interwoven with other material (perhaps four-fifths of this book) that will be new to you. The rest of you are on a path more similar to mine. Although David and I worked closely in his small Hampstead flat, until only a few weeks before his death he would not let me look at Lean Logic. He said that we were too close, and the project too dear to his heart, so that we would likely fall out if I were critical! So when I found his final manuscript for this book in the weeks after his death, it was an invitation to one last glorious conversation. Shortly afterwards, a group of David’s closest friends and family decided to self-publish 500 copies of his manuscript, as soon as possible and just as he had left it, for those who knew him and his work. 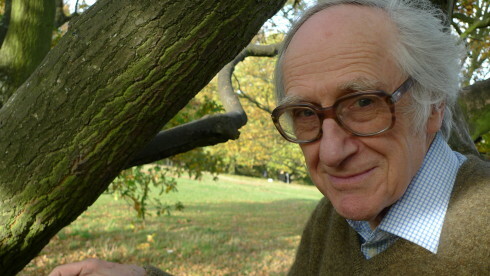 Then, in 2011, we started talking with publishers about a full publication; the feedback was that a more conventional version might be necessary, as a ‘way in’ to the full work, so with advice and support from many of David’s friends – Roger Bentley and Biff Vernon especially – I tentatively started work on what would become Surviving the Future. As that process was coming to an end, the Dark Mountain journal put out a call for submissions to their fourth book, on the theme of “post-cautionary tales”. In shock at encountering a category of any kind that Lean Logic actually seemed to fit perfectly, I felt obliged to submit some extracts. Despite being overwhelmed with submissions, the Dark Mountain team were so enamoured of the curious dictionary entries that they asked for an additional set, for their fifth book. And that is where Michael Weaver of Chelsea Green Publishing happened across them, and so made contact to ask whether they could help in any way with publishing or distributing David’s work. Having worked with Chelsea Green before on my own Transition book, I was enthusiastic at the possibility. Initially, we discussed the publication of Surviving the Future, but quickly came to the realisation that it was most appropriate to bring the two books out concurrently, allowing readers to explore both or either, according to their taste. That brings our story up to Autumn 2014, with much of my time since spent pulling both books together into their final published form. Writing this preface is one of my final tasks; in many ways the book in your hands has been both the starting-point and the finish-line for me. 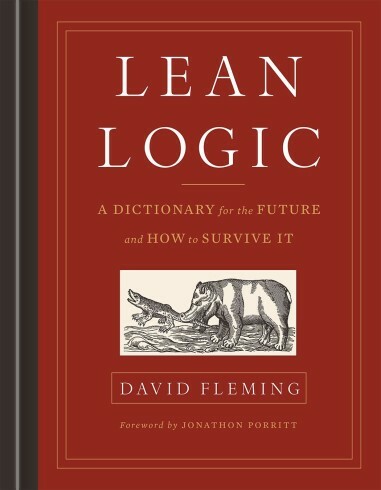 So, you can imagine how much pleasure it gives me to invite you to step into the world of Lean Logic. David bestowed the subtitle A Dictionary for the Future and How to Survive It, but, if only for want of competition, it can surely claim to be The Dictionary for the Future and How to Survive It. For full details of Lean Logic, and the chance to pre-order a copy, see the book’s dedicated webpage.